The summer brings with it a lot of great things, like barbecues, ice cream socials, and pool parties. But it also brings heat, and a lot of it. While you may be tempted to leave your child or pet in the car for a few minutes while you run an errand, the scorching heat makes this a very bad idea. Why is it such a bad idea? When your body gets hot, it has to cool itself down. While the process of self-cooling is miraculous, it is not limitless. When the body absorbs more heat than it can process, a condition called hyperthermia occurs, which commonly ends in death. Obviously, since children’s bodies are so much smaller, this process occurs much faster than it would in an adult. Just last year alone, 32 children and an unknown number of pets died from being left in cars on hot days. Even if it’s just a few minutes? Yes, even for just a few minutes. 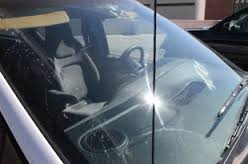 The National Weather Service reports that a car left alone in 80-degree weather can reach the dangerous temperature of 94.3 degrees Fahrenheit in as little as two minutes. After 10 minutes, the car will be 99 degrees, and after an hour it will be a scorching 123 degrees. The higher the heat, the faster these temperatures are reached. These numbers are only from an 80-degree day. On many summer days, the temperatures are much, much higher. What if I roll down the windows? It doesn’t matter. It is still not safe. Studies show that even with the windows rolled down, the heating rate is just as rapid as mentioned above. There may be a little bit of airflow, but if the air flowing in is hot, it only contributes to the problem. The bottom line is that you should never, ever leave a child or pet alone in a car when it is hot outside. Not for even for one minute. It may take a little more effort on your part to take your kids in with you, but the alternative is much worse. You will never regret taking them in with you, but you may regret leaving them alone. Worried about your pets? It is best to leave them at home in an air-conditioned space if they aren’t allowed where you are headed. It’s just not worth it.